Holy moly. 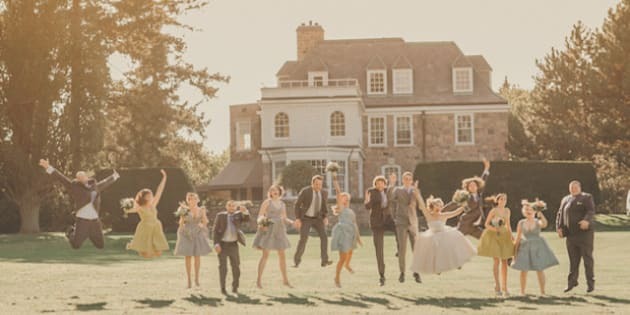 This whimsical wedding at The Estates of Sunnybrook in Toronto is our idea of wedding heaven. Jennifer and Jordan are a stylish twosome, as you can see from all the pretty details of their vintage-chic wedding: the pastel color palette, the bride's incredible gown, the bridesmaids' cocktail frocks, the groom's dapper grey suit, the fairytale setting. We could go on and on. Captured by Mango Studios, the photos from this dreamy wedding look like something out of a storybook. Enjoy!